Buying a roach bomb or fogger is never a fun thing to do. After all, if you’re doing it, chances are that your home, storage area or vehicle is heavily infested with all manners of crawling and flying insects. Still, this isn’t a time to panic and just grab the first roach bomb you see on the shelf of your local shop – to the contrary. This is a time for intensive research and carefully thought out decisions. There are a lot of factors that come into buying the most suitable roach bomb or fogger for your situations, and we’ll try to go over them in this article. We’ll also examine the many different specifics of roach bombs and foggers, we’ll answer burning questions such as “Can I bomb my car for roaches?”, “How to bug bomb a house for roaches?”, “What are the possible alternatives to roach bombs and foggers?”, and many others. Of course, we’ll also go over some of the best roach bombs and foggers that can be found on the market right now – both to give you suggestions as to which are the products to consider, as well as to give you a frame of reference as to what you should be looking for. 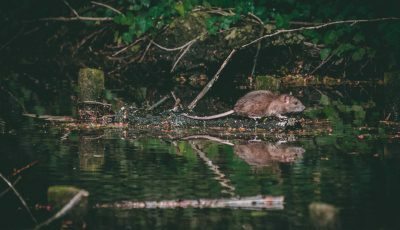 So, for anyone who’s having more than just a minor roach problem but is dealing with a full-blown invasion, this article is for you, as are – probably – roach bombs and foggers. You don’t need to read too many Hot Shot Fogger reviews to see why it’s one of the best roach fogger products on the market. With 4 cans in the pack, as well as an odor neutralizer, this is a great indoors tool for instantly exterminating even the heaviest of cockroach infestations. Each has 2 ounces of fogger inside of it which is enough for up to 2,000 cubic feet of enclosed space. As other good roach killer bomb and fogger products, the Hot Shot roach fogger easily and successfully penetrates all cracks, crevices, nooks and carpet fibers, allowing it to effectively exterminate hidden roach and bug nests, eggs, larvae, and thus – bring an end to entire pest populations at once. More than just a one-time solution, the Hot Shot roach fogger has a lasting effect of up to 2 months, guaranteeing that you won’t be seeing any more of the nasty pests and giving you the time and opportunity to take further preventive measures against future invasions. What’s more, the Hot Shot roach fogger works on more than roaches – it also kills flies, most species of ants (except fire ants), spiders, fleas, gnats, firebrats, earwigs, crickets, ticks, brown dog ticks, black carpet beetles, mosquitoes, palmetto bugs, pillbugs, silverfish, waterbugs, and a lot of other common household insects. The product can be easily used in any enclosed indoors space – in houses, apartments, barns, attics, basements, boat cabins, campers, crawl spaces, garages, trailers, storage spaces, sheds, and more. The Hot Shot roach fogger could even be a great roach bomb for cars and other such vehicles, but keep in mind that the smaller cubic space will mean that you’ll need to give the area extra ventilation and cleaning after the fact. 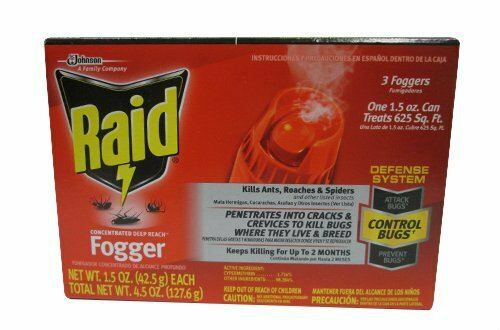 This Raid roach fogger also makes a much-expected appearance on our Top 3 list. As you would expect from a Raid max fogger, the Deep Roach Fogger goes truly deep. There will be no cracks, crevices, and nooks in your home or storage area where this fogger won’t reach. This guarantees a 100% effectiveness as is evident by the many positive Raid fogger reviews out there. Additionally, this Raid fogger leaves no wet residue behind it, which is a great plus, as anyone who’s ever used most other roach fumigation tools will testify. With this item, you can not only rid yourself of roaches but also spare yourself of a significant part of the cleaning that comes after the fogging. That is, of course, if you’ve followed the Raid fogger instructions to the letter. The pack comes with 3 cans in it, which is enough for most apartments, houses and other residential areas. Still, it needs to be noted that if you expect to need more than 3 cans, you might want to pick another product or a bigger package. The Raid concentrated deep reach fogger is a good choice for a roach cover in cars and other vehicles, but remember to clean the treated area extra diligently afterward. 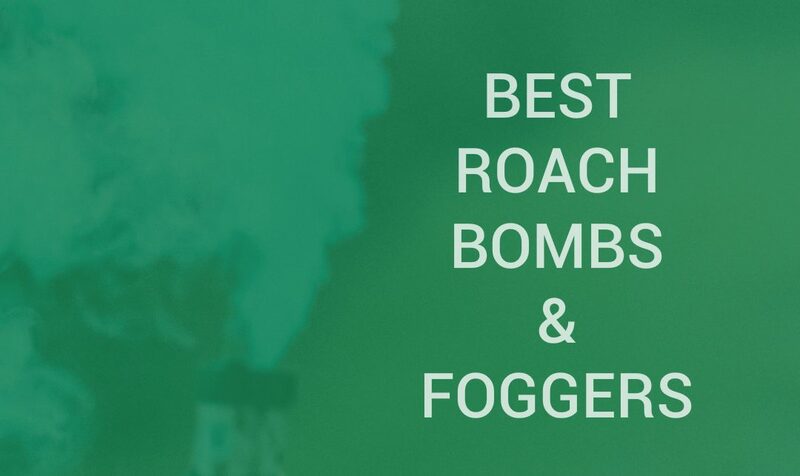 With its strength and coverage, this fogger is definitely a worthy candidate for any “Best roach bomb and fogger” list, but it needs to be said that it doesn’t have as wide of a spectrum as other foggers. The Raid Concentrated Deep Reach roach fogger is less effective against fliers than it is against crawling insects as it specializes in the latter. When you are looking for a good bug bomb for roaches or an adequate roach fogger, you can’t afford to skip the PCO Pyrethrin fogger bomb. It doesn’t take too many roach bomb reviews to see that this PCO Products item is deserving of a spot in our Top 3. Its active ingredients are Pyrethrins 0.50%, PBO technical 1.00%, and Dicarboximide 1.00%. These give it exceptional power and reach when roach bombing any enclosed areas. Whether you’re looking to de-roach a food or non-food area in your home, a storage area, a garage, your crawl space, a barn, or any commercial building such as restaurants, warehouses, schools, hospitals, and so on – the PCO Pyrethrin Fogger Bomb is a highly effective solution to any roach problem. One can of this product is enough to cover 5,000 cubic feet of enclosed and unobstructed space, which alone testifies about this product’s power. Roughly speaking, this means a room with dimensions of 25’ x 25’ with an 8-foot ceiling. 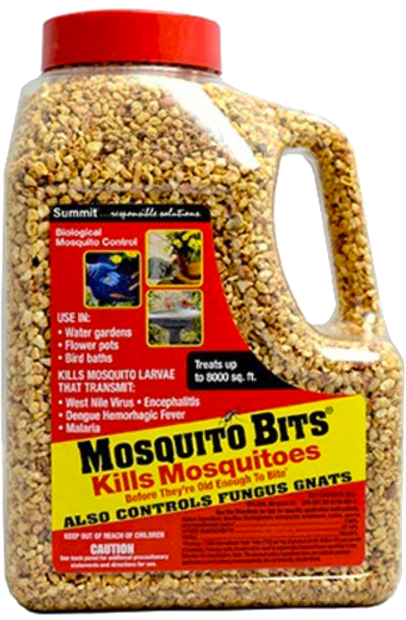 Aside from roaches, this product works wonders against other insect pests as well, whether they are fleas, ants, spiders, weevils, or any flying insect species. As with any other insect killing product group, keep in mind that the effectiveness of any tool is based on how you use it and against what you use it. Simply put, you can’t just read a bunch of roach fogger reviews, pick the one with the highest rating, and go with it. Depending on the exact type of insects you’re dealing with, as well as the specifics of your home or storage space, different products may be more or less useful. Even just with roaches, there are over 4000 different species of these little critters, so you may need to consider different products. The Raid Fumigator Fumigating Fogger comes in a 3 pack of 0.35-ounce bottles. This Fumigator’s unique smoke’s consistency allows it to penetrate all hidden areas behind household walls and surfaces. The fog is dry and leaves no oily or moisture residue behind it. Instead, it leaves behind a clean and fresh scent, which quickly answers the question “Do roach foggers work?” with a “Yes”. Still, we’ve found that there are stronger and more effective foggers out there, which kept this product away from the Top 3. Not many Hot Shot No-Mess Fogger reviews need to be read to convey the effectiveness of this product. The fog created by this fogger both stays airborne for long, effectively killing flying insects, and still reaches crevices and cracks in your home, thus dealing with roach nests and other crawlers. Being dry foggers, they are easy and safe to use but are not as effective as some other bombs and foggers out there. 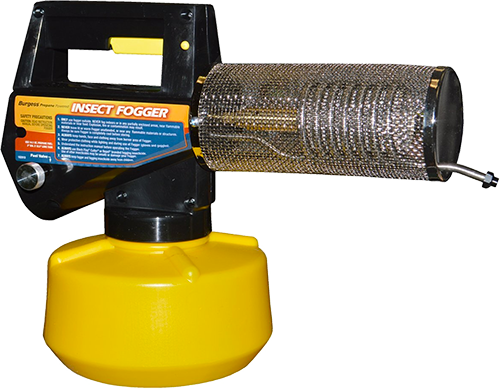 The Durvet No-Bite Indoors Fogger utilizes a formula of 3 insecticides which allows it to effectively kill a wide range of insect pests in addition to roaches. It comes in a 3 pack with each individual 6-ounce fogger being enough to treat a 6,000 cubic feet area. The big size of the can does make it less practical for smaller spaces which reduce its versatility. The Bengal Roach and Flea Fogger almost made the cut to the Top 3 thanks to its wide range of effect and significant special coverage. Coming in a 3 pack, this fogger is a testament to Bengal’s quality. The instructions of this particular product are a bit dodgy, however, as they some significant omissions about the ingredients and the consistency of the smoke, as well as about a lot of the preventive measures that need to be taken with it. There are plenty of Spectracide Bug Stop reviews that can be read online but few actually give it justice. The Spectracide Bug Stop Indoor Fogger kills all common household bugs upon contact, leaves no messy residue behind it, and doesn’t have the unpleasant odor of so many other foggers and bug bombs. 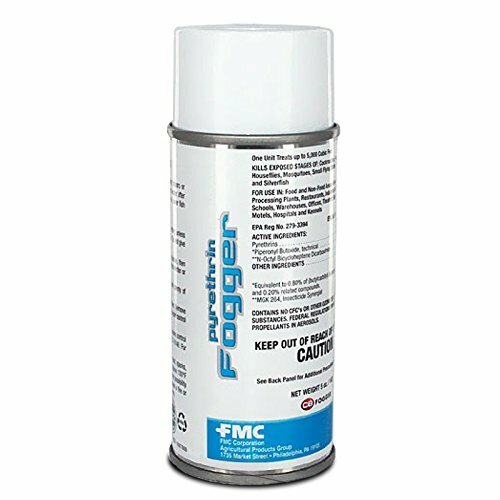 The (effective) coverage area of this fogger is smaller than it is for other foggers of the same class, however, so it is ideal for smaller spaces or cars more so than it is for bigger spaces. TAT Concentrated Fogger is great for all manners of enclosed areas and can be used to treat most common household bug infestations. In terms of raw power, however, there are stronger products on the market right now. If you don’t just have a roach problem but have a German cockroach problem, then consider the Black Flag Concentrated Indoor Fogger. This 6 pack kills most common household insect pests, including the pesky German roaches. It also leaves a fresh scent behind it instead of a stinking odor or messy residue. It also has a lasting effect of up to 12 weeks, giving you time to set up additional preventive measures. It’s not as effective for flea control, however, and the trigger mechanism can be a bit tricky to use. Roach bombs and foggers can have a lot of different ingredients, depending on what types of roaches and bugs they are targeting. Generally, they are all different types of pesticides, since their goal is to kill every living roach, bug, egg, or larvae on the spot. There are dozens of different pesticides, however, which we won’t even try to go over in a simple article like this. The reason why there are so many different kinds and types of active ingredients is that different bugs are resistant to different types of chemicals. 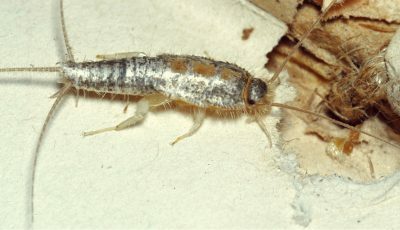 In fact, even just among cockroaches, there are different types of roaches that can live and breathe in heavily fogged with pesticides areas. The most obvious examples are German roaches which can seemingly survive anything. Well, not quite – even German cockroaches have roach foggers that they can’t handle. And that’s generally how roach bombs and foggers work. Unlike roach bait gels or cockroach sprays, they don’t poison several roaches and let them live long enough for the roaches to contaminate the rest of their nest. Instead, they simply kill anything they come into contact with instantly. What this means is that roach bombs aren’t really a good tool for frequent usage or for preventive measures. While some of them do have some residual effect on your home, if you want to make sure that your house or apartment will be bug-free in the future, you’ll need some other preventive tools such as roach baits or gels. Still, roach foggers do have their use in cleaning off the most severe infestations that can’t be properly handled with anything else. Fliers or crawlers. Most bug bombs and foggers accent on the fact that they work on all manners of common household insects. And that’s usually true – they do. However, some are still better suited for fliers, while others are more suited for crawlers. The reason for that typically lies in the consistency and the spread pattern of the fogger. Foggers that are intended to go deep into your home’s or storage space’s smallest nooks, cracks and crevices, are foggers with a heavier smoke. These tend to be less effective against fliers since the latter tend to stay high in the air. Contrary, foggers, and bombs that are meant to work well against fliers are less effective against crawling insects that build their nests deep into your home’s floor and walls. Which types of bugs are the bomb good for? Other than the effect of the spread pattern of the fogger, there are other differences between the various products that make them better suited against different pests and insects. Depending on their active ingredients, bombs and foggers may be better against certain insects and worse against others. Dimensions matter. When bug bombs and foggers point out the dimensions at which their products are effective, they tend to be fairly liberal. Do, it’s smart to do yourself a favor and be a little liberal when purchasing the bug bombs and foggers as well – it’s better to use a little more than what was necessary than less. Consider the lasting effect that the bug bomb or fogger has. Roach foggers and bombs aren’t intended as a long-lasting tool for preventing future roach and insect invasions. They are meant as a single-time eradication measure that should be followed by a different prevention tool. Still, it is very beneficial when your fogger of choice has a lasting effect of at least several weeks as this gives you time to “prepare your defenses”. Price matters. It should be redundant, but as with almost all other product groups, price matters here as well. Even if you are not on a budget, bug bombs and foggers often need to be purchased multiple times and/or in larger quantities, so while you shouldn’t compromise with their quality, it’s good if you don’t have to overspend either. Price / volume ration. Looking at just the price isn’t a good way to measure things. Consider the volume of cubic feet the fogger covers and then ratio that with its price to get a clear picture of how much it’s going to cost you. Branding matters too. As with pretty much every other product type, branding matters here too. Some brands are famous for their high-quality bombs and foggers, while others are notorious for their sub-par products. Here are some of the brands to consider: Raid, Black Flag, Hot Shot, Durvet, TAT, Spectracide, Bengal, PCO, and others. 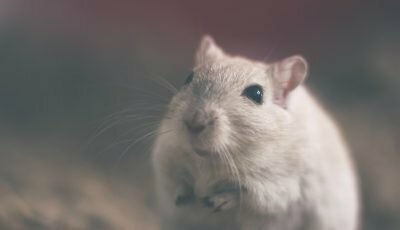 When it comes to roach bombs and foggers, the first question that comes to most people’s minds is “Are they safe for us?” And the answer is, well – “No, not really.” Of course, if you take the necessary precautions you will be safe, but the foggers themselves are dangerous for humans and other mammals to inhale. This is a huge part of the reason why they are so often avoided by people with roach problems and other anti-roach products are often chosen. An additional reason is that foggers and bug bombs can simply be tricky to use. They take a lot of work, a lot of effort and aren’t really fool-proof. We’ll go over the details of using roach bombs and foggers below, the simple conclusion that a lot of people reach is that there are other products out there that are simpler and safer to use. Of course, all this isn’t to say that roach bombs and foggers don’t have their uses. There are levels of roach infestations that a home or storage area can reach that are untreatable by anything other than a roach bomb. Or a flamethrower. Or an actual bomb. For all their effectiveness, even roach bait gels can meet their match with some several roach infestations that only roach foggers can properly deal with. Fortunately, most of us never have to face them. Keep foggers and bug bombs away from ignition sources. A fiery accident is the last thing you want in your home or storage space. Roach bombs and foggers are a final measure and are not something to be used lightly after you’ve seen one or two roaches in your bathroom at night. Like it or not, however, such “end of the line” measures are needed from time to time, so it’s good to know exactly what you’re looking for. A strong and reliable roach bomb will effectively exterminate all roaches and insects from the treated area, regardless of their sub-species, type or total number. Depending on the severity of the infestation, the number of obstacles in the area and its overall design, as well as on how deep into the walls/floors the insects have set up their nest, even the best roach foggers can sometimes require a second usage. Nevertheless, even then, a good roach bomb will do its job. Of course, even though most good bombs have a secondary residual effect that can keep future insect infestations at bay for several weeks, it’s worth noting that roach bombs are not preventive measures by nature. If you don’t want roaches and other insects to reappear in your home or storage areas, you’ll need to use those few weeks as a buffer time to set up other preventive anti-roach or anti-insect measures. So, while roach bombs and foggers are not the ends all be all of the fighting roach and insect invasions, they are a very special tool in any homeowner’s arsenal that has its time and place. 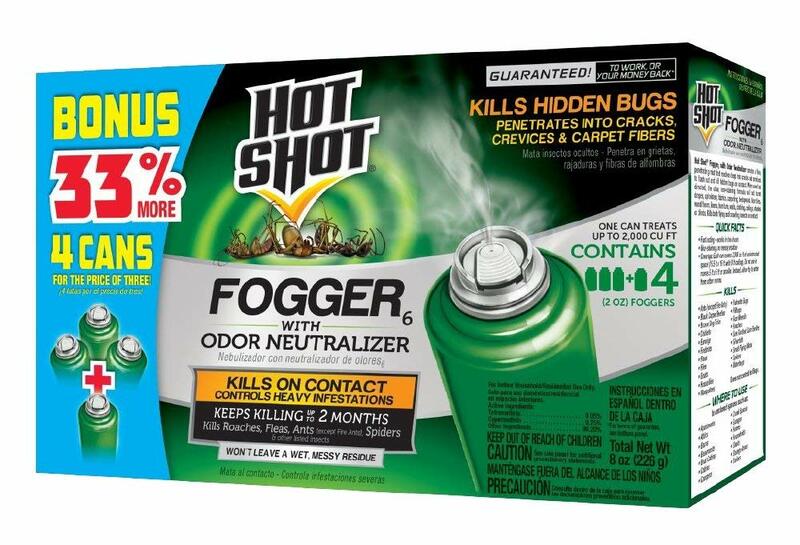 The Hot Shot Roach Fogger comes in a 4 pack and is effective against all types of common household bugs. It can be used in an enclosed area, whether residential or commercial, provided that the necessary precautions have been taken. It is a rather pricey product, but that comes with its quality. The Raid Concentrated Deep Reach fogger specializes in exactly what its name suggests – reaching as deep into your home’s cracks and crevices as needed to exterminate every last roach larvae and egg that may lay there. It doesn’t do as good with fliers, so that should be kept in mind, but that’s not what the product specializes in after all. The PCO Pyrethrin Fogger Bomb is a wide range, multi-purpose bug bomb that can eradicate all manners of insect pests from virtually any enclosed area of the appropriate size. It has an impressively deep reach which allows it to go into the deepest cracks and crevices, and it still has a strong effect on flying insects. Does silica gel kill bed bugs?